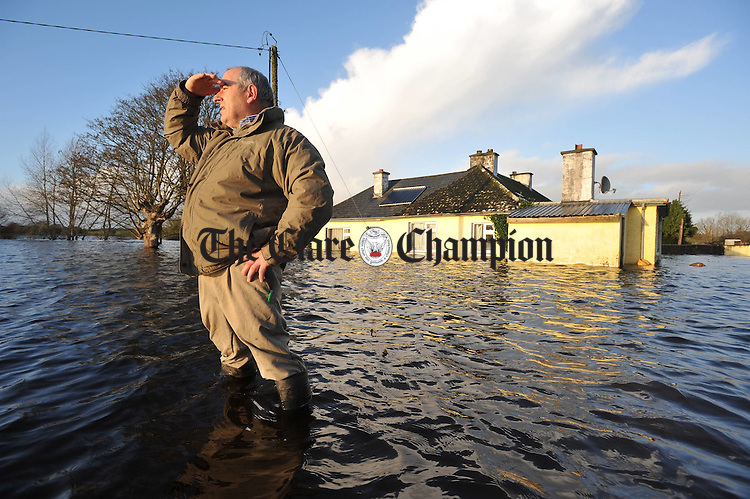 Hugh O Donnell returns to survey damage at the family home in Beagh, Gort. His family, including his 87 year old mother Mary, were air lifted by Shanon Rescue helicopter from the house. Photograph by John Kelly.